By now, you’ve probably realised that Mexican or at least Mexican-inspired dishes are some of my favourite to make. I find Mexican food is incredibly vegetarian friendly, as so much of the dishes’ flavour comes from the selection of vegetables and the spices used. In fact, I think its one of the few cuisines that can very easily also be adapted to suit a vegan and still keep its robust flavours and tastiness. 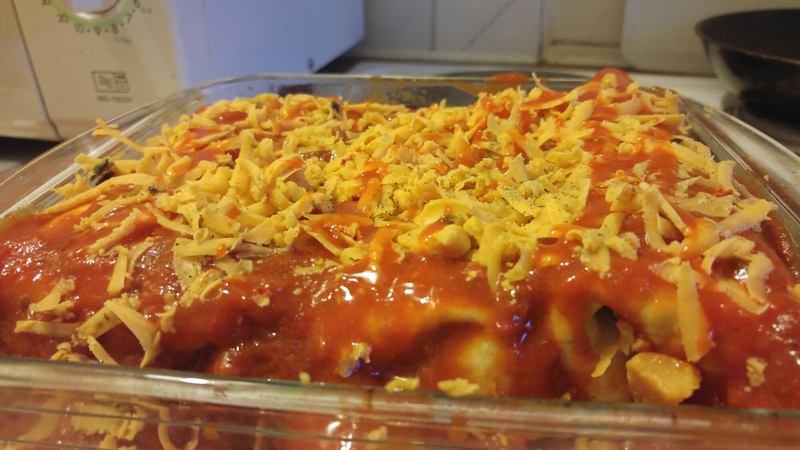 When my friend Sarah was visiting, we made dinner at home on her last night here, and decided to whip up some veggie enchiladas. She made a delicious guac from scratch to go with them, and it was a great dinner. 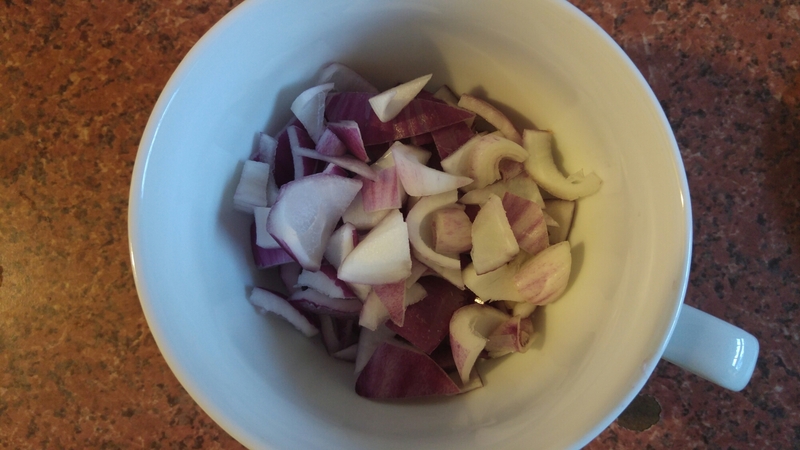 Lots of onions, although I definitely could have used more! 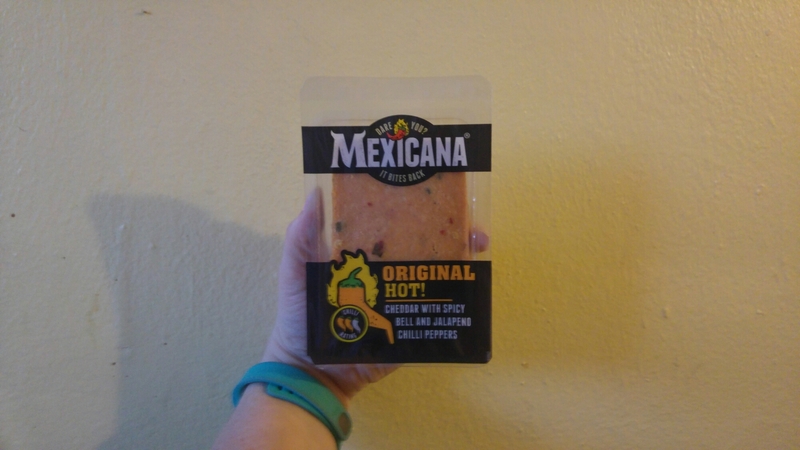 This Mexicana cheese is a perfect edition, it has chillies in the cheese, so its that perfect combo of creamy with a kick. 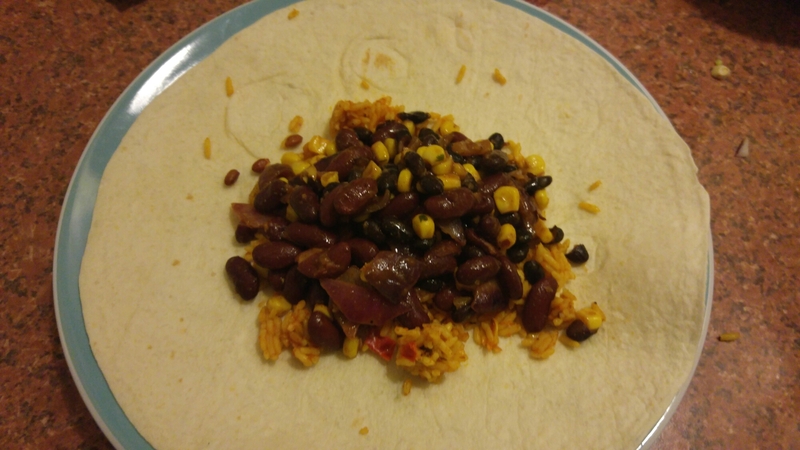 We used kidney beans, black beans, corn and Uncle Ben’s Mexican Rice (cheating, I know) for the filling. I also sauteed the onions and threw them in. Nothing too special is required with the cooking, I just threw these in a pot and stirred over the head until they all softened. Then, place in a wrap and fold it up tightly as you would a burrito. Place into a baking dish, pour tomato sauce over the top. Use a spoon to ensure they’re covered, you don’t want any tortilla peeking out, or it will go a bit too crispy in the oven. 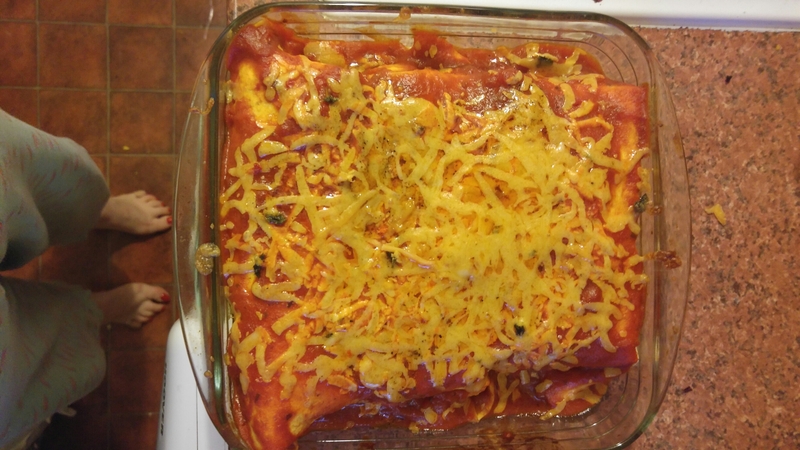 Grate some cheese over, I used the Mexicana cheese, but any cheddar or strong cheese will do. Heat your oven up to about 180 degrees, pop it in and let it bake for about 25 minutes. It’s done when the cheese on top is to your liking. I like cheese when its still gooey and melty, I’m not so fond of browned cheese, so 25 minutes was perfect for these. Feel free to leave it longer if you prefer crispy cheese. These are super simple, and great for a work night meal as the preparation is minimal and the cooking time is very short. We served ours with a dash of Cholula, some sour cream and Sarah’s guacamole.